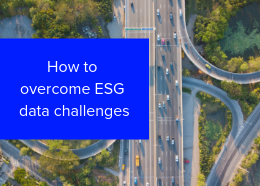 There can be no doubt that ESG data is of growing importance to investors in the modern marketplace, as it is being used to numerate the long-term material risks posed to an investment target based on environmental, social and governance factors. If you are looking to incorporate ESG data into your investment decision making process you need transparent and objective ESG data. Our ESG data hits the mark. We cover 7,000+ global companies, covering 70% of global market cap, and 400+ metrics. 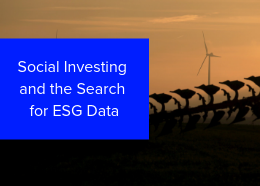 Find out more about Refinitiv ESG Data by filling out the form on this page and get the latest ESG insight below. 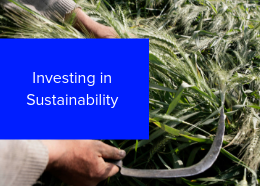 The sustainable investing space is facing some challenging questions around the availability, transparency, quality and investment application of ESG Data. As sustainable investing is growing these challenges are becoming more important to overcome. Our ESG experts look into the trends for sustainable investing in 2019. We suspect trends will be driven by continued innovation, stronger regulation and tougher systemic market risks. Balancing short-term performance pressures with the need to investing in a low carbon, sustainable future is an important challenge investor’s face today. 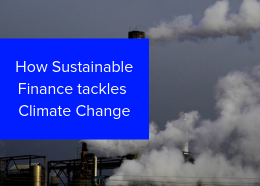 Find out how the UN Commission’s Technical Expert Group for Sustainable Finance is looking to help. Recent studies have suggested that sustainable investing adds significant financial value to organizations. With this in mind, the appetite for ESG data has been growing and investors are seeking a robust, quantitative approach. 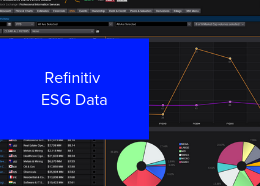 With Refinitiv ESG data you can easily integrate ESG factors into portfolio analysis, equity research, screening or quantitative analysis, so you can more effectively meet investment mandates and identify risks across your investments. Request more information by filling out the form on this page.